You don’t know yet where to spend New Year’s Eve? We will show you what you can expect in Budapest. 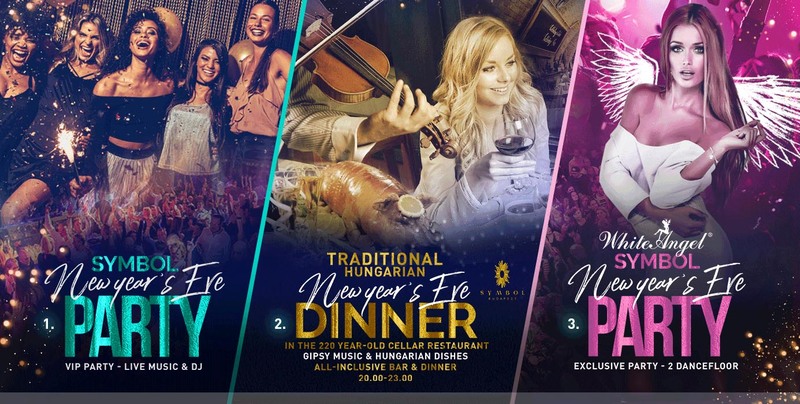 The best guide for New Year’s Eve Budapest 2018! Following the pre-NYE party, the Panorama-room will welcome you again in Bálna with a jazz concert. The show will include so called “Hungarian Michael Buble” – Bálint Gájer, the Catsby Band, playing in the style of Parov Stelar and Eliza Bliss, who performs well-loved songs on her electric violin. After these musicians, DJ Tégla and DJ Dave-S will spin the biggest soul, pop, RnB, funky and jazz tunes until the end of the night. People who choose to celebrate the New Year’s Eve at the famous Márványmenyasszony can expect unprecedented vibes. The more than 200 years old restaurant offers folklore style dinner for the lovely guests. In the past, prominent figures such as Baron István Széchenyi, Zsigmond Móricz and Dezső Kosztolányi have chosen this place as well. During the night, you can expect traditional Hungarian cuisine with great wine, thanks to the head chef of the restaurant. The biggest party of the year is here with the craziest and sexiest people in town. If you are looking for a place to go nuts, then this is your place. Welcome the new year in the most prominent night club in Budapest, in Club Liget with 4 dance floors and 15 DJs.